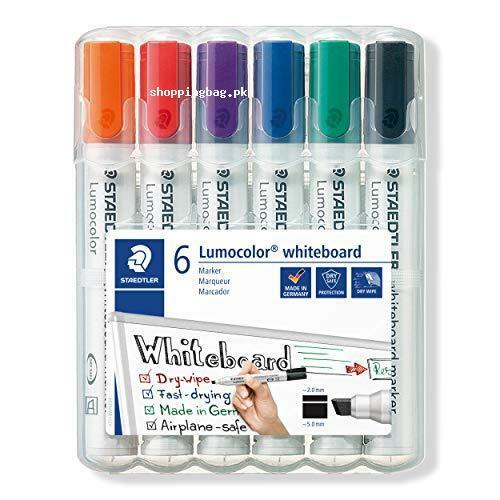 Staedtler Lumocolor markers come in set of six colors whiteboard markers. It is erase-able from glass, whiteboard or plastic. Each marker has the chisel tip, having width of 2mm and 5mm. The chisel tip allows you to write and draw in style and neatness. Hit order now and buy six colors of whiteboard markers from Amazon shopping in Pakistan.